Coral Garden is trusted for four decades of serving authentic and delicious Chinese cuisine. And they lived up to this reputation when I finally dined and had a slice of heaven here. I’ve been to Hong Kong, Beijing, Guangzhou, Shanghai, Shenzhen, all those parts of China, and yet, the Chinese gastronomical experience at Coral Garden exceeds those Chinese dining adventures. Why? 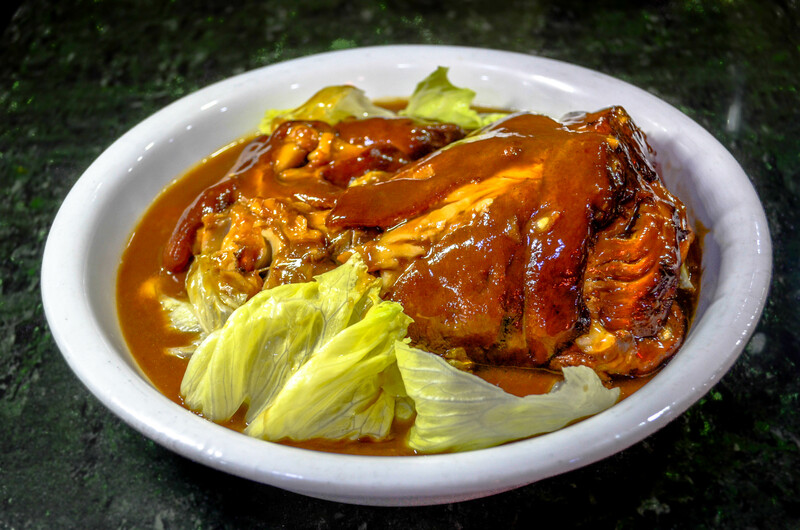 Maybe because of the four decades of Coral Garden’s existence, they’ve mastered the Filipino and Chinese palate, combining the best of both worlds. Exquisite Chinese cuisine for the Filipino tastebuds. I strongly recommend you dine here with a group, so you could order more varied dishes for sharing. This way you get to taste more of the delicious food they offer. Start with soup. For the full experience, try the Coral Soup. It’s hot and sour soup with soft tofu, pork and preserved cucumber. It’s one of Spot.PH’s top ten hot and sour soup. This signature hot and sour soup is a regional cuisine in Beijing and Sichuan, China. The lettuce wrap is an awesome appetizer. They call this Chunbuan. It’s ground pork, shrimp and shitake mushroom on a bed of crispy noodles wrapped in iceberg lettuce leaves. Add hoisin sauce to taste. Another must is the Coral Supreme. This is fried fresh milk with real crabmeat sauce topped over snowy white crispy noodles. For poultry, the Coral Chicken is superb. It’s chicken stew that’s aromatic and full of flavors. 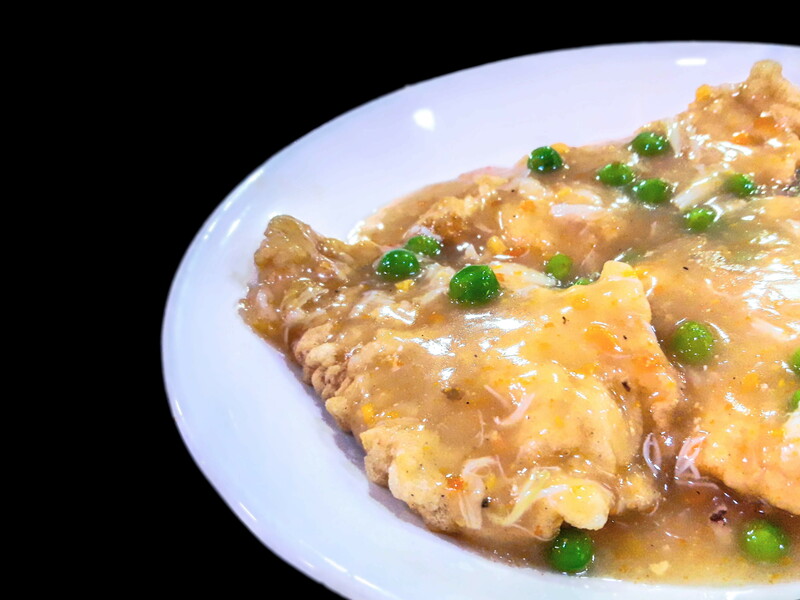 Coral Chicken Php335 / Php380 Half chicken in their house special sauce. Their seafood hotpot has noodles, scallops, shrimps, squid, shitake mushrooms, tofu and mung bean thread. Another highly recommended seafood on the menu is the Fish Fillet in Crabmeat Sauce. The fish is good but the crabmeat sauce is what gives it so much character. Rich and tasty. Here’s a crowd favorite. Their pata tim. Fork-tender pork leg braised slowly for four hours, immersed in a silky, brown sauce flanked with iceberg lettuce and shitake mushroom. Who loves lechon kawali? 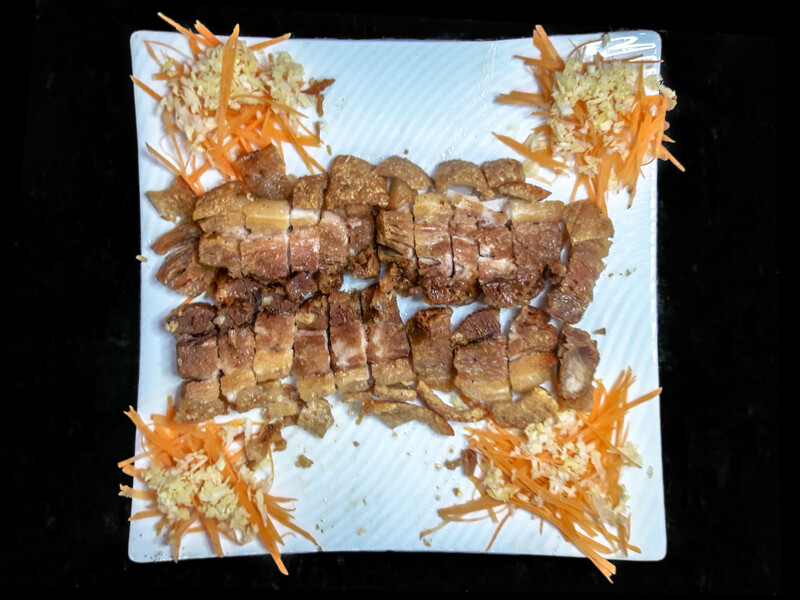 The Crispy Pork Belly, also good for sharing, is another dish I can always order again and again. Vegetables take on a new dimension with their French Beans in X’O Sauce. That’s French beans in savory, sweet and spicy sauce with dry scallops. To go with all that, order Coral Fried Rice. 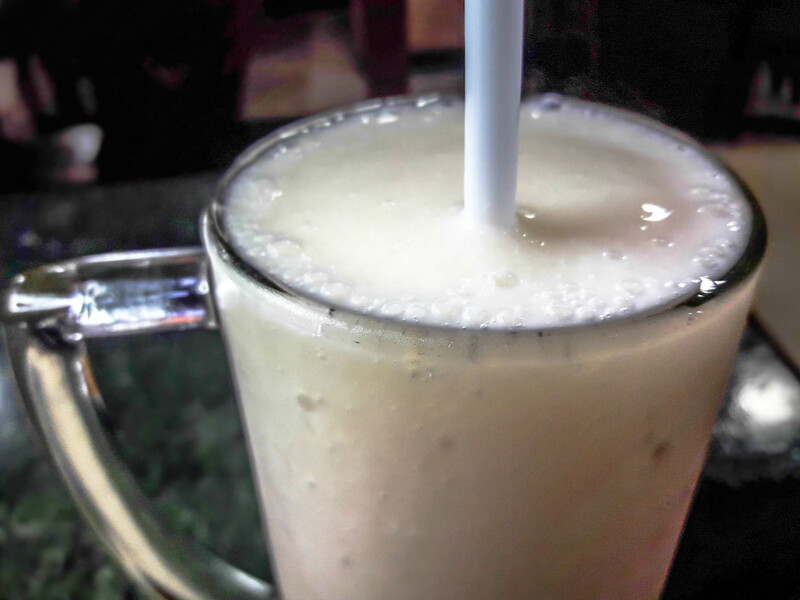 A drink that’s also a dessert — their black and white gulaman, and their almond gulaman shake are sweet and refreshing. Or maybe have their Coral Iced Tea with Coral Garden’s own secret formula. To cleanse the palate after a sumptuous meal, try their almond jelly with Mandarin orange. Now for light meals, or miryenda, Coral Garden has delicious snacks. They serve cua pao. It’s like siopao, in a way. The siopao bun is filled with sweet stewed pork belly, ground peanuts and cilantro leaves. The crispy bean curd is delightful. It’s bean curd coated in Japanese panko creating a crispy crust with velvety soft, melts-in-your-mouth tofu, dipped in their house special black, sweet tangy sauce. Cha Miswa is a festive noodle dish that’s a must. It has marinated pork slices, meatballs, shrimp, squid, egg, peanuts, vegetables, mushrooms and other special ingredients. 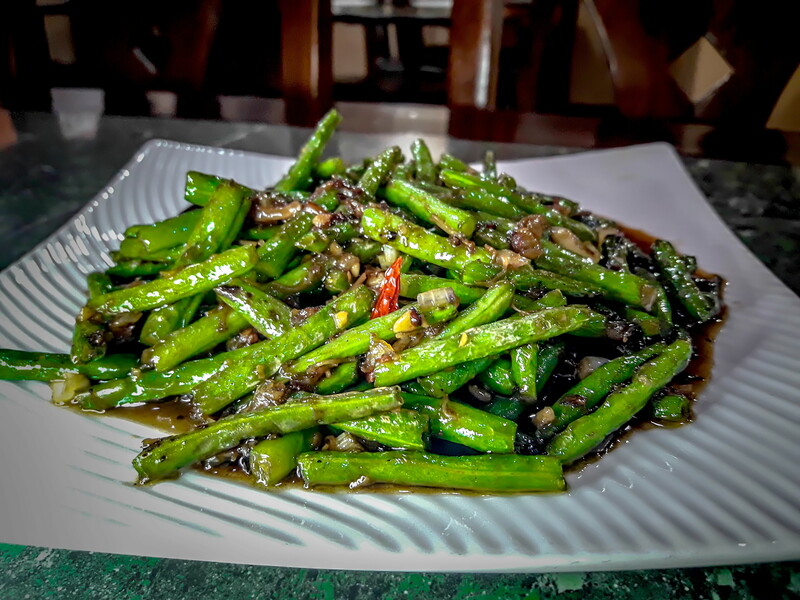 Coral Garden’s menu and recipes are based on family culinary tradition of goodness that came from Fookien, China and have been improved throughout the decades. Coral Garden was born in August 1978.